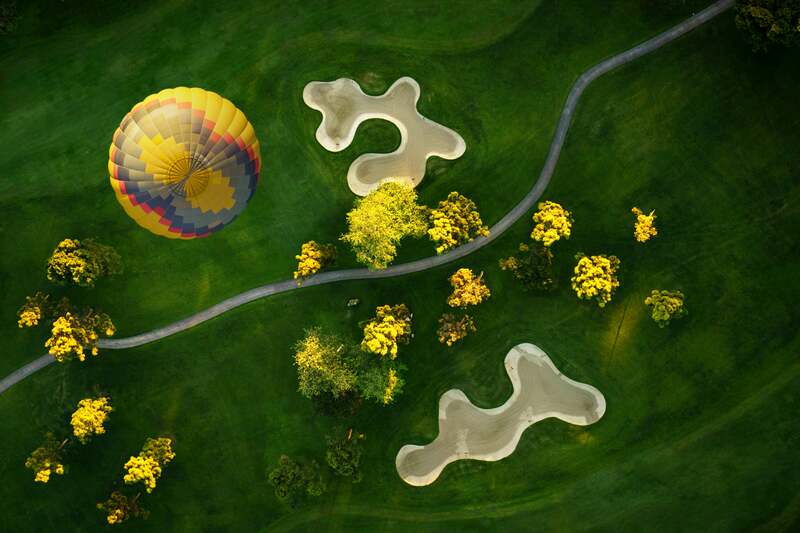 See why Matt Kloskowski made the switch to Sony and why he’s not looking back. Did I Switch From Nikon? Yes. I now shoot with my Sony all of the time. I still have my Nikon D810, and do some video stuff for ON1 so I’ve used it for video, but my landscape, travel and general purpose photography is done with my Sony gear now. A lot of people thought I shot Canon because, when I worked at Kelby, Canon was heavily involved. But that was loaner gear for me to try out, as well as use to balance some of my classes so they weren’t all Nikon heavy. But I didn’t actually own any Canon gear. I wanted the closest thing to my Nikon D810. I like big megapixels. I may not print everything as big as I could with it, but I like to know it’s there if I want to. Also, it’s just fun to edit those photos. A large part of my photography enjoyment comes in the editing process, and editing those files and seeing that level of detail is just fun. I’m sorry, not much of a reason to go big-megapixel, but at least I’m being honest with ya’. Anyway, I ended up going with the Sony α7R II. It’s got 42-megapixels worth of hard-drive filling, big screen viewing, super-sharp, computer-slowing goodness. As for lenses, I went with the trinity of lenses that I’ve shot with for years. 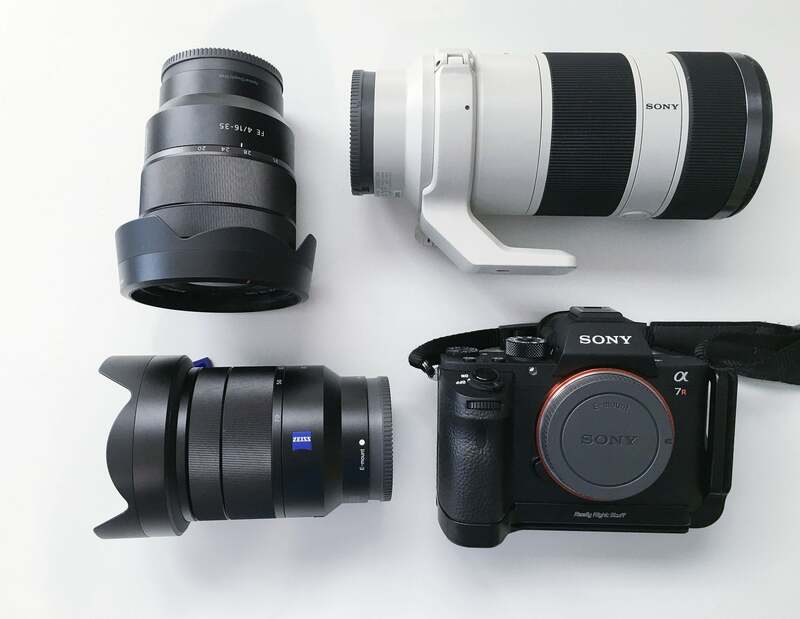 The Sony/Zeiss 16-35mm, 24-70mm, and 70-200mm. I do own a Nikon macro lens and the 85mm f/1.4 but I don’t use them a lot. So I’m not sure whether I’ll replace them on the Sony side of things. Luckily they’re both still good lenses and I can sell them if I need to. I’d probably go with the Macro lens before replacing the 85mm. While that lens produces amazing portraits, I find I use the 70-200 for portraits more anyway. Plus, I don’t shoot a lot of portraits, and there’s no reason to go with an 85mm f/1.4 for landscapes. There’s a few reasons why. For starters I love what Sony is doing in the industry. They’re really pushing the boundaries, taking feedback, and incorporating that feedback into the products quickly. It’s a digital world, and Sony recognizes that. There are apps for your phone that integrate with the camera. They’re engaging the audience. The Alpha Universe website is full of content and consistently updated. They have a magazine in print and as a download in an app, if you want it. And hey, I’ll admit it. I’m biased. I shoot with Sony now, so of course I’m going to notice all of the things they’re doing. But the point is, they’re doing a lot of cool things. And let’s not forget that the mirrorless systems are smaller and lighter. As a landscape photographer that always carries my own gear (and sometimes a long way), small and light is a good thing. But…Are they REALLY smaller and lighter? I’d say all totaled it’s about a third less weight in my bag. And of course since they’re smaller, my bag is smaller too. Is the Camera Too Small? I’ve read reviews and seen videos that say they feel the camera is too small. They’re used to a big DSLR and holding the smaller Sony cameras just feels weird to them. Of course everyone is different, but the smaller camera size wasn’t an issue for me. I’m a tall guy and have pretty decent sized hands, and it feels just fine. Ultimately, I did buy the Really Right Stuff L bracket that fits the α7R II. I shot with the camera for a month before having the bracket, and it felt fine, but I will say the L bracket does make it feel better. Also, because of the square-ness of the Sony’s camera body, the L-bracket looks and fits awesome on it. Way better than any DSLR L bracket I’ve used. I know looks aren’t everything, but that bracket fits like a glove and looks like it’s part of the camera. Okay let’s get down to features. However, I want to be the first to say here that features come and go. What I mean is that, say XYZ brand has a new feature today. Then, before you know it, ABC brand comes out, and has those features and some better ones. If you followed that line of thinking, you’d switch brands every 18 months. So while I like the features I’m about to talk about, my liking for the overall Sony brand, and where they’re going, means more. Electronic Viewfinder (EVF) – definitely one of the top features for me. I love seeing exactly what my photo is going to look like. Just as important to me, as an outdoor shooter, I’m in sunlight many times when shooting. Trying to look at the LCD screen on the back of the camera can be hard when it’s sunny because of all the glare. But looking through the viewfinder you see a perfect rendition of the photo you just took, without all the glare. Extended Focus Points – Many times when setting up my photo, I move the focus points around to the key areas in the scene. The problem is that most of the time, the focus point won’t go out toward the edges. And if I have a good foreground element in front of me, I want to focus on it. Well, the Sony has a focus point area that extends out toward the edges of the frame so I don’t find myself having this problem anymore. 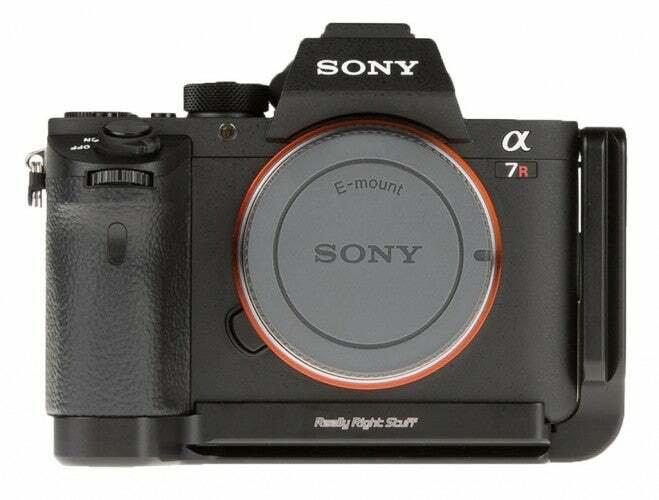 Focus points in the Sony α7R II extend close to the edge of the frame. Face Detection – I don’t shoot a lot of portraits, but when I do this has come in SOOO handy. Focus Magnification – I manually focus a lot for my landscape photos. Especially when I have a good foreground element and I want to make sure it’s tack sharp. Well, when I start to move the focus ring with the Sony Alpha cameras, the LCD automatically zooms in to the targeted area so I can really get a feel for how sharp it’s going to be. And with Focus Peaking (another cool feature), I can get a much better idea of the sharpness I’ll get before I ever take the photo. Just to clarify… Is the camera sharper? No. Is the lens sharper? No. Is the Sony image sharper? No. But the features can help me get a sharper photo or make it easier to do it. Tilt Screen – Sony obviously isn’t the only camera to have a tilt screen. But my previous cameras didn’t have one so this one is new to me. As an landscape photographer, my camera is sometimes close to the ground. This helps me frame the photo without necessarily getting down too close to the camera. Smart Remote trigger and Sharing Apps – Sony’s got some cool apps built right in to the camera, and downloadable to your phone. The first is the Smart Remote app so I can use my phone to trigger the camera, and not a remote cable release. The other is a sharing app which is really cool. Let’s face it, we live in a sharing world. With the Wi-Fi enabled camera, and the app, and your phone, you can take a photo then share directly to your phone. From there, you can post it to Instagram or Facebook almost within seconds after taking the photo. As some one that likes social media, this one is a really nice-to-have for me. 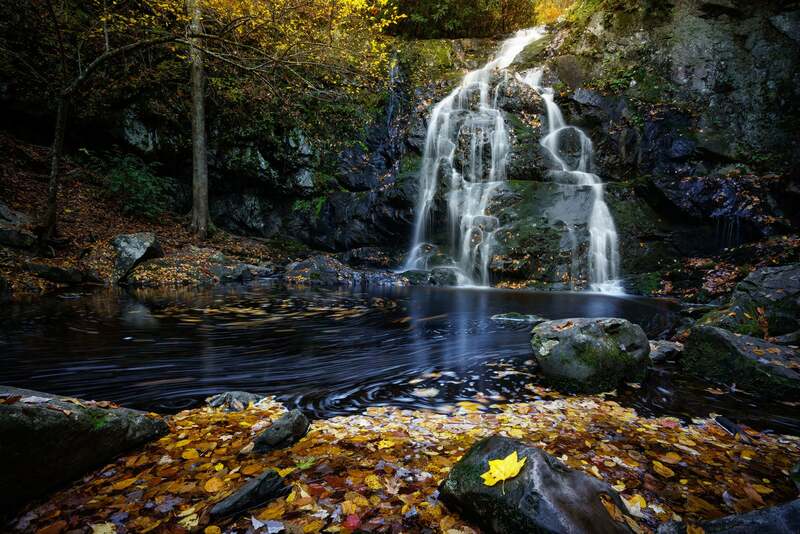 – Like the D810, the camera will shoot down to 50 ISO natively. It sounds like a little thing, but for me this is becoming essential in any camera I shoot for landscapes. 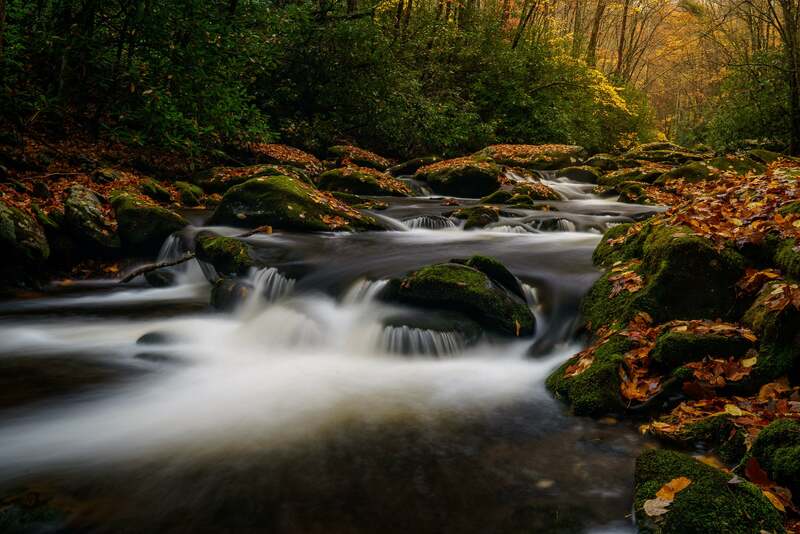 Basically, for us tripod landscape guys that like long exposures, lower ISOs can help eliminate the need for a filter since you can squeeze some extra shutter speed length from it. – Zeiss glass – I’m not sure that the Zeiss glass is really better or not. I’m not a guy that does a lot of techie tests with it. But I can tell you these are some of the best-made, best-feeling lenses you’ll ever hold. They’re smooth and the build quality is awesome. Plus, it is Zeiss after all and, well, that just sounds cool. – It’s got a “reduced-vibration shutter and Silent Shooting mode which helps eliminate camera shake caused by shutter movement”. I don’t know what all that means but I know my photos are damn sharp coming out of this thing. – It’s got a 5-axis image stabilization system built in to the camera. So even if your lens doesn’t have image stabilization, the camera does. Is the Sony As Good as My D800/D810? For me, yes. I wouldn’t have made the move if it wasn’t. Now understand, I LOVED my Nikon D810. It’s an incredible camera. But one of the things I’ve loved about the D800/810 is the image quality that comes from it. I’ve shot just about every DSLR and mirrorless camera out there, and the D800/D810 (for landscape photography purposes) are about as good as you can get. Until I shot with the Sony that is. You may or may not have known that much of the sensor technology in the Nikon comes from Sony. So it makes sense that as soon as I saw those Sony raw files, I was hooked because I had the same image quality I had loved about the Nikon. I’ve also been a fan of Sony for a long time, and the release of the α7R had me really close to switching. But the α7R II finally tipped me over to make the move. The reduced weight in my bag when I hike, as well as the features I mentioned above all factored in to my decision. Plus, as I said before, I just like where Sony is going, and it’s something I wanted to invest in now, rather than wait any longer and invest further in my DSLR gear. 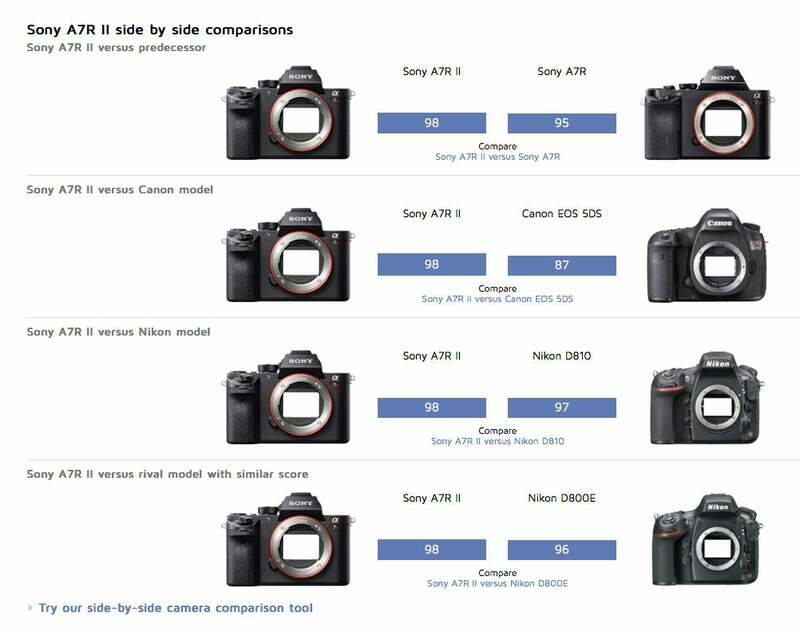 Oh, and if you’re a techie person, then you’ll love the DXO Mark scores for the α7R II. As you can see in the image below it beats everything in it’s class. 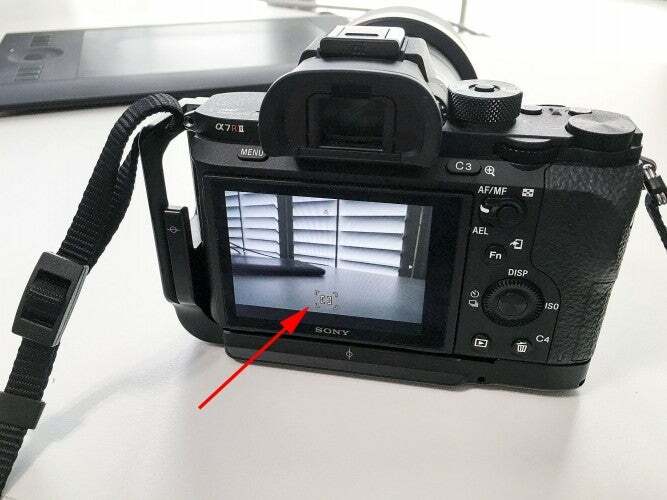 You won’t have to look long to see that one of the key things missing in the Sony Alpha cameras is battery life. These suckers will crank through batteries pretty fast. That LCD is almost always on in some way. Best I can do is give you my experience. On a typical sunrise/sunset shoot I’m out shooting for an hour or so. That will easily eat up at least 50-60% of the battery for me, and more if I stay out longer or do a lot of manual focussing where I’m using the LCD a lot. I invested in a couple of after market batteries for $40 and I just make sure I charge my battery after my shoot. The only other thing I really wish it had was an internal bulb timer. I do a lot of long exposures where I want to set my shutter speed for a very specific time (like 75 seconds). Right now I have to use a cable release and a timer. With a bulb-timer feature, it would let me set that in-camera and I wouldn’t need a cable release or timer. My Nikon didn’t have the feature either, but some of the newer Canon cameras do. Does the Sony Help Me Take Better Photos? Absolutely not. I’m not writing this to get anyone to go out and buy a Sony. I’m simply telling a story that a number of people have asked me to tell. I firmly believe that if you put any camera in my hands, I’m going to be able to take as good a photo as I would with any other camera. Here’s an analogy for you. Will a Toyota 4Runner get me from point A to point B, and have all the bells and whistles in it that I need? Yep, just fine. So why do I prefer to drive my Jeep, which is about the same price? Because it works for me. I can do what I want with both vehicles – just like I can take the photo I want with any camera. Both vehicles have similar features right – just like various cameras do. But the layout, look, feel, and overall experience can be different for different people. My point… don’t go out and buy this camera (or any camera) because you think it’ll make you a better photographer. It absolutely, positively will not. But your camera should make your experiences while taking photos (which is also VERY important), as good as possible. For me, the Sony has been doing that, and I’m really happy with my switch. This article also appears on Matt Kloskowski’s blog, mattk.com and is reprinted here with permission. Sony α7R II Takes Home Top Awards at PIX 2015!